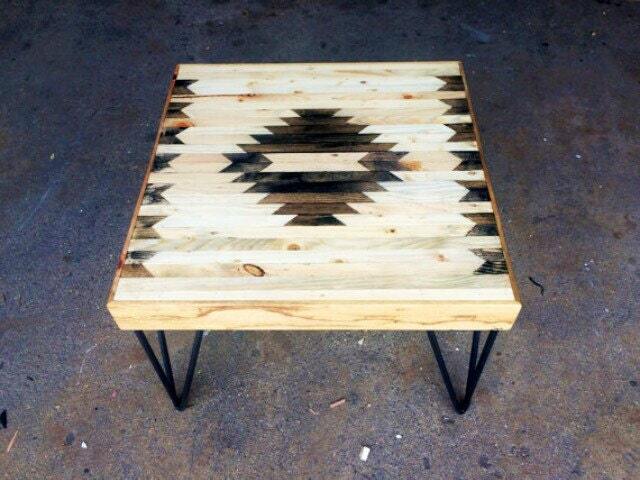 This square coffee table is handmade from reclaimed wood and has a Navajo pattern hand painted with non-toxic wood dyes. 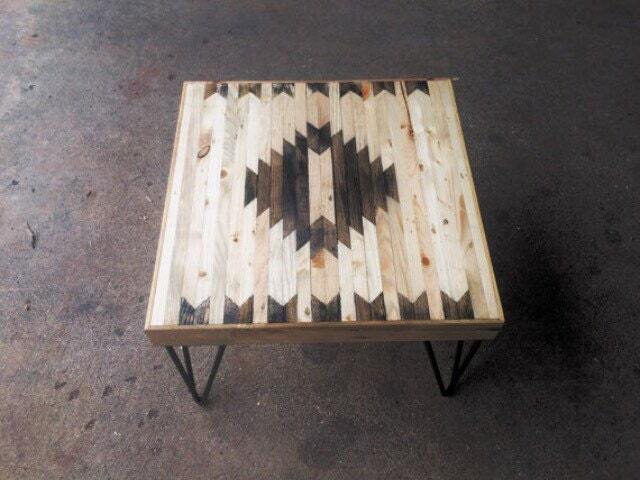 This is ideal for smaller living spaces that deserve beautiful handmade furniture. The table has been handmade from start to finish in the workshop located in Leicestershire, in the heart of the midlands, UK. The workshop is surrounded by a handful of old, unspoiled English villages, farms, and woodland. 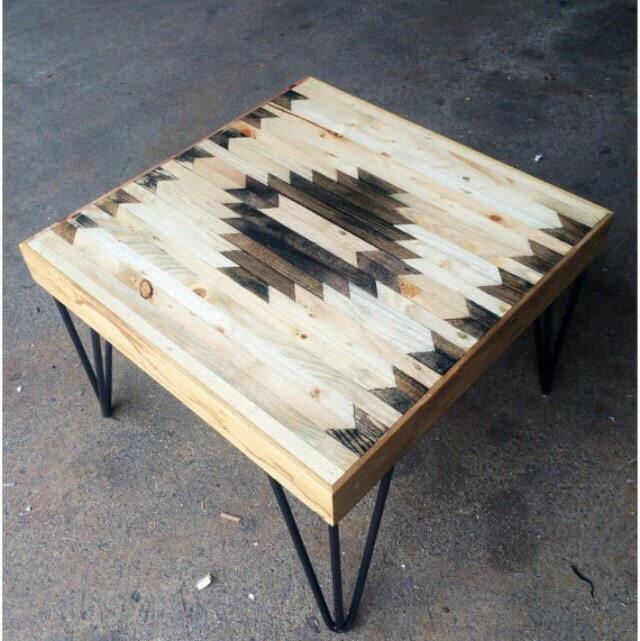 The wood is milled in the workshop and lovingly brought back to a usable state. The wood is reclaimed, but the surface is smooth and finished to high and professional standard.